No sneaking up and pouncing on the Mousr, kitteh! 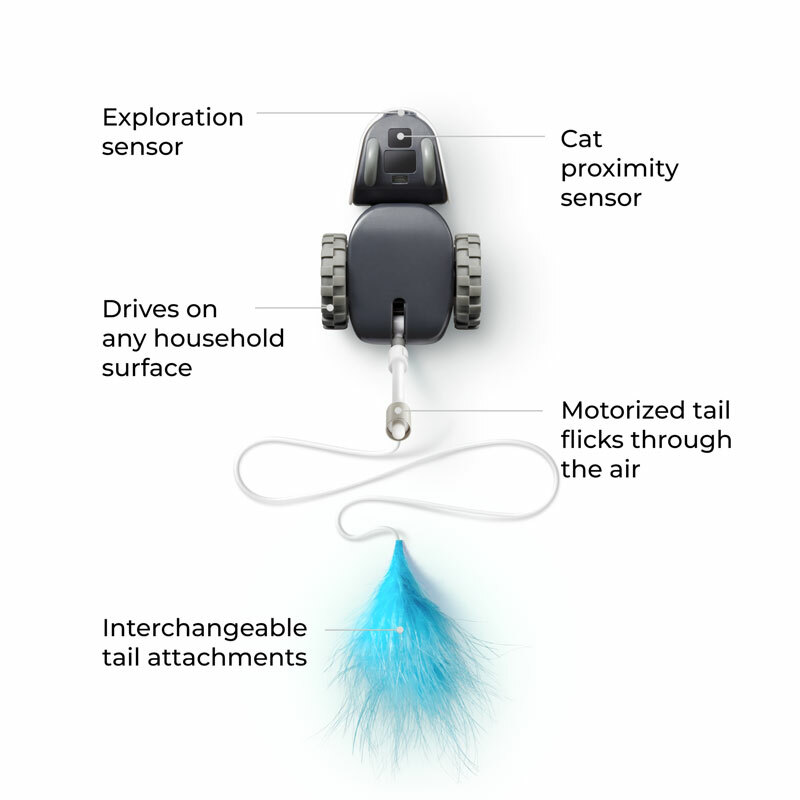 Petronics' interactive robotic cat toy has built-in sensors that detect and react to your pet automatically. The feather teaser on wheels has 3 different strategy selections - Open Wander, Wall Hugger, and Stationary - each customizable to your cat's own personality with modifiable speed and aggressiveness settings. 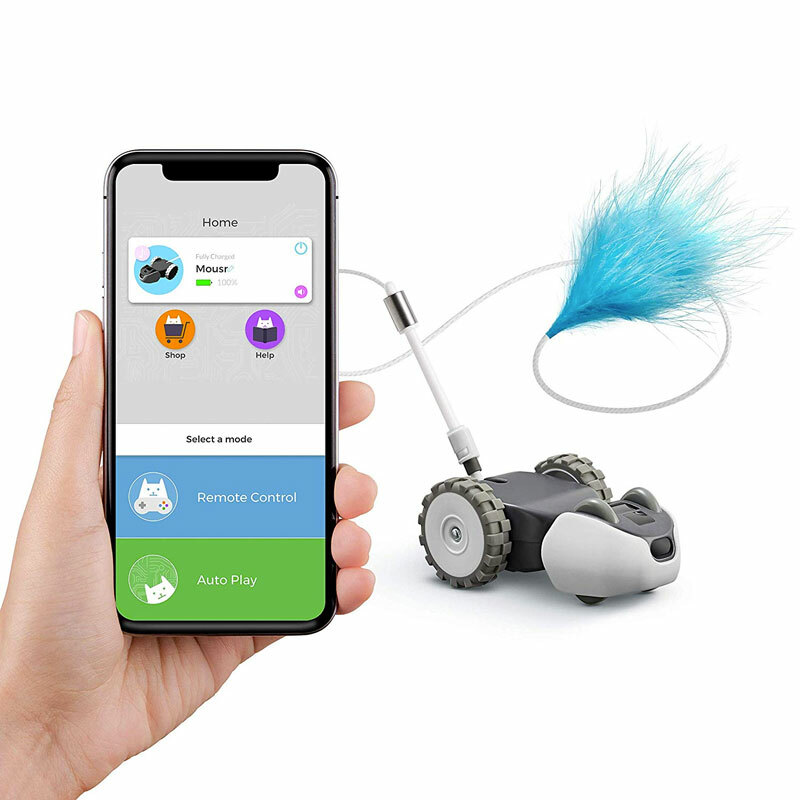 You can also control the Mousr by connecting the robot to your smartphone, and using it as a remote. 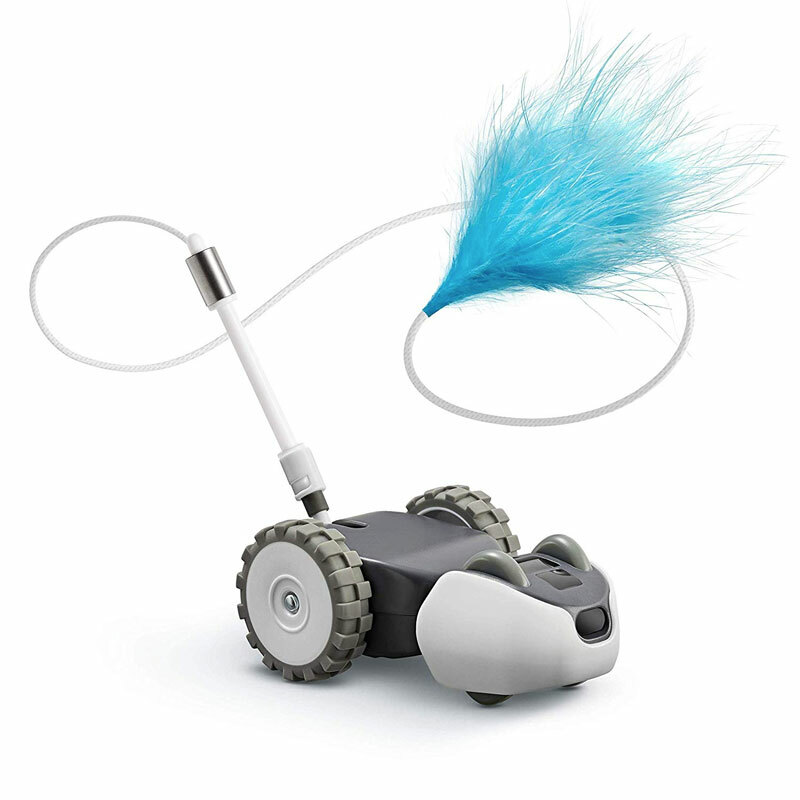 Petronics says Mousr should be able to play on any common household surface, including high pile carpet. 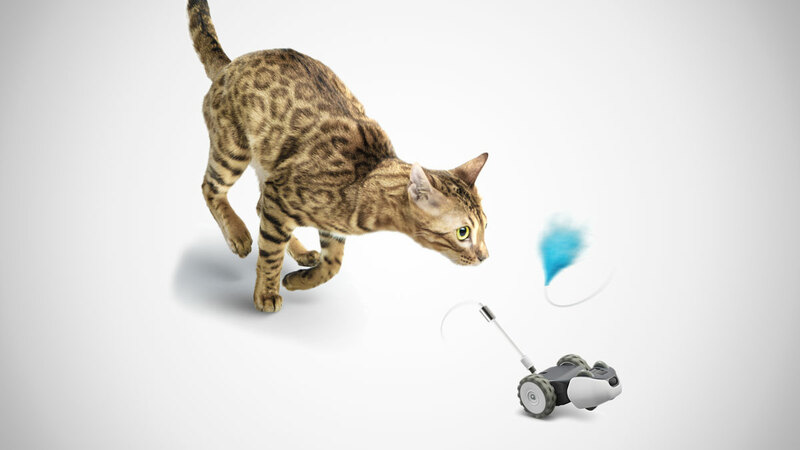 They also say its rugged will stand up even to the toughest, fattest, and most daredevil cats out there. My 25-pound Zanzibar practicing his "Flying Squirrel" off the dining room table should provide a pretty good test of that claim.